Happy new year! How was your new years? Whether you spent it partying or sleeping all the way through, I hope you had a fantastic year. And it's that time of year when I tell you about my favourites from this past year. 2017 went by quickly and it was a very positive year for me. Could've been better but still, I'm optimistic. In 2016 I divided my favourites in 3: fashion, beauty and random. This year I decided to put it all together in one single post. It's easier for me and it's easier for you. Let's start with fashion. I love clothes and I love shopping and I'm also very picky about the things I buy and the things I wear. 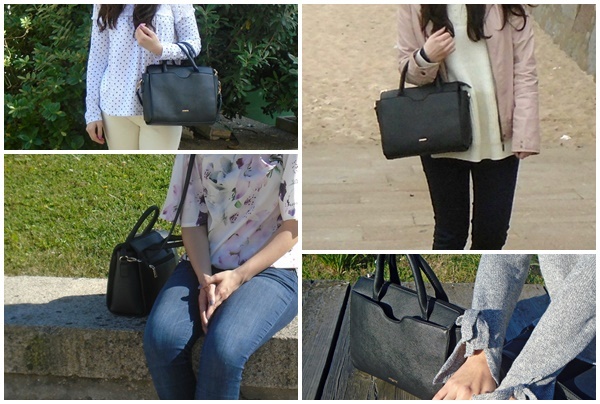 This year there were a few items that I particularly loved wearing. 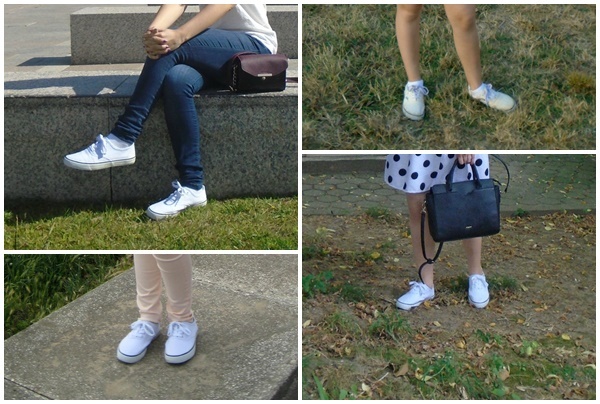 I have more than one pair so I can't just say which ones in particular but white sneakers made my year. The ones in the picture all look like the same pair but they're different, they're just very similar. Sneakers are comfy and they go with everything, especially if they're white. They're great in the spring and summer and even when it's cold, it's a comfy pair to put on if you're gonna walk a lot. I intend on getting another pair next year. And this time I'm gonna search for a Converse pair with all my energy since I wasn't able to find one in my size last year. How many times have you seen this bag? A million times, I know. Did I have to mention it in this post? Probably not but I'm doing it anyway. Since I dropped real leather and fur, it's not that easy to find good quality bags in faux leather at a good price. Luckily, I was able to find this one and I'm very happy I did because almost every time I went out, I'd take it with me. It's the perfect size to fit everything I need, it goes with everything, it's great quality and I won't be getting rid of it anytime soon. Now, moving on to beauty. I dyed my hair this past year which meant I had to change my hair care routine a tiny bit. I started using a lot more hair masks, more oils, different shampoos and conditioners, etc. I had high hopes for this oil, I have to say, and wonderfully enough, it filled every expectation I had for it. It leaves my hair feeling so soft, not greasy, lightweight, shiny and it's so cheap it's better than anything I could ever imagine. I've already reviewed this foundation so there's not much else to say. 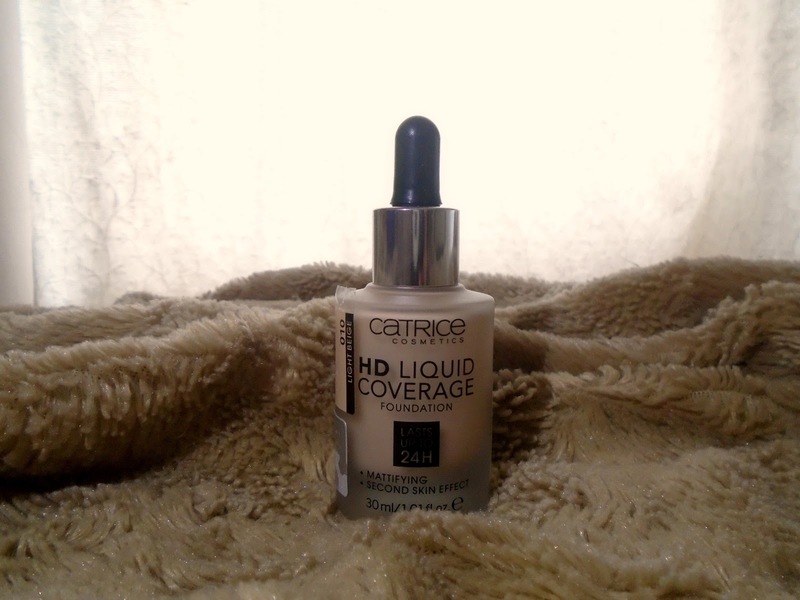 I love how it makes my skin look, I love how lightweight it is and how natural it looks but still has great coverage. I'll definitely repurchase it after it's finished. And now time for some random favourites. I think I mentioned this show in the "My favourite series ended, what now?" post so I don't have much else to say. This is one of my favourite shows ever. In the beginning, I wasn't very fond of it because let's be honest, it wasn't that great but with time it got a lot better and I can't wait for the next season! This is a show I only started watching after the hype had gone down because I'm always late to everything... A lot of people complain about the acting and the fact that it isn't very realistic and that "nobody would say or do those things in real life" but that's one of the reasons why I like it. We can't forget that the show is inspired by Archie Comics and I think the lack of "realness" makes it more fun and allusive to the fact it was inspired by comic books. Here's the gloss wearing YouTuber I mentioned earlier. I don't even remember how I found her but what matters is that I did. I completely fell in love with her personality and the fact that she only uses cruelty-free cosmetics was a huge thing for me. And not only that, she also makes videos about murder mysteries which was something I didn't know I was interested in until I watched hers. I absolutely love her channel and I highly recommend you check it out. I found Kendall in the recommended section while I was watching one of Bella's mystery videos. When I finished watching the video I clicked on one of Kendall's and I immediately knew I was gonna love her. I love her personality and how her videos aren't biased. She tells things like they are and she says facts without taking a side. Her husband Josh also a YouTube channel which I also love and it's kind of similar to hers but focused on conspiracy theories, aliens, space, etc.